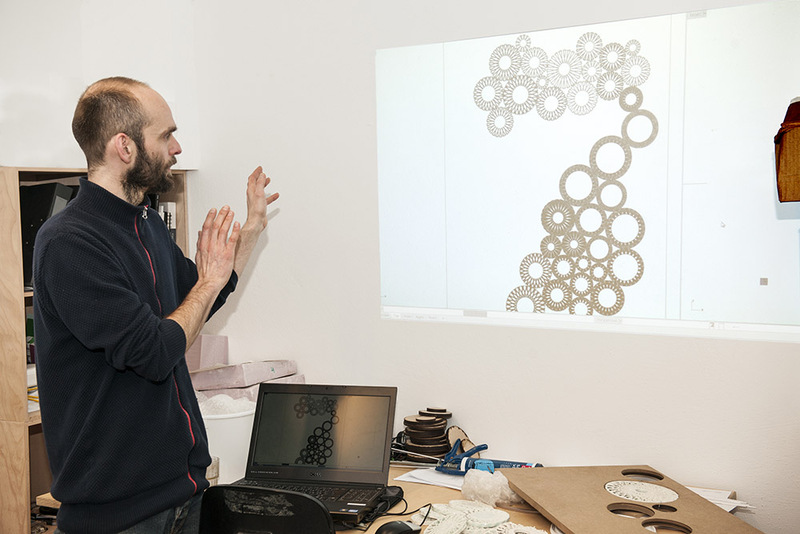 The research project Filigree Robotics investigates how digital technological developments open spaces for new expressions and allow rethinking of traditions in ceramics. 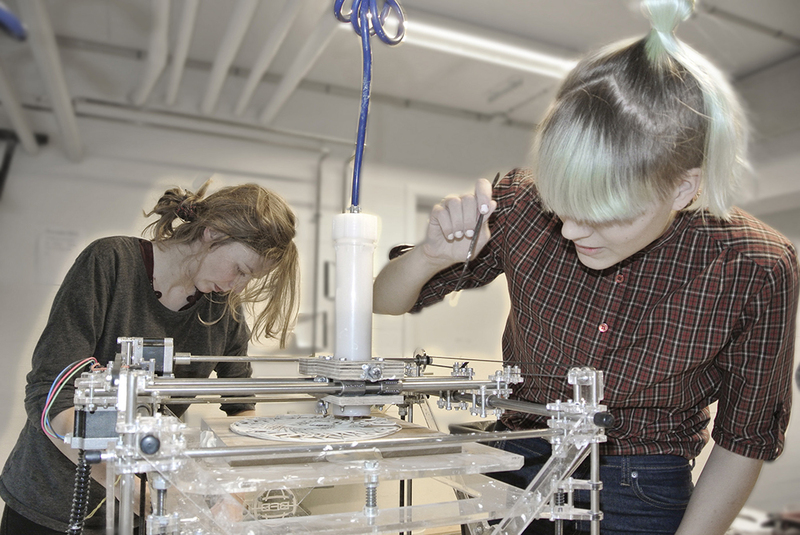 The project is a collaboration between the field of Ceramic Design, School of Design and The Centre for Information Technology and Architecture(CITA), School of Architecture with Martin Tamke, Henrik Leander Evers and Esben Nørgaard Clausen. 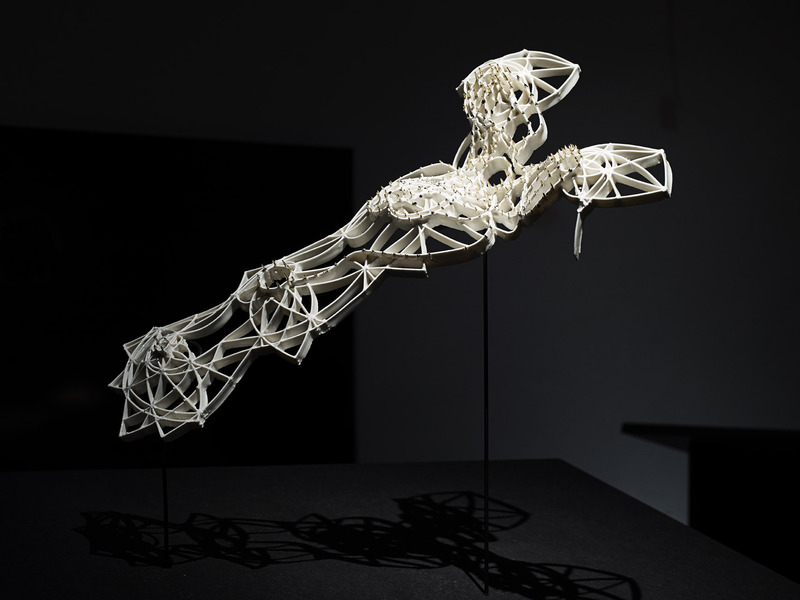 The project unfolds how advances in 3d motion capture technology, digital scanning technology and 3d printing in clay create new interfaces and processes between human, space and material. 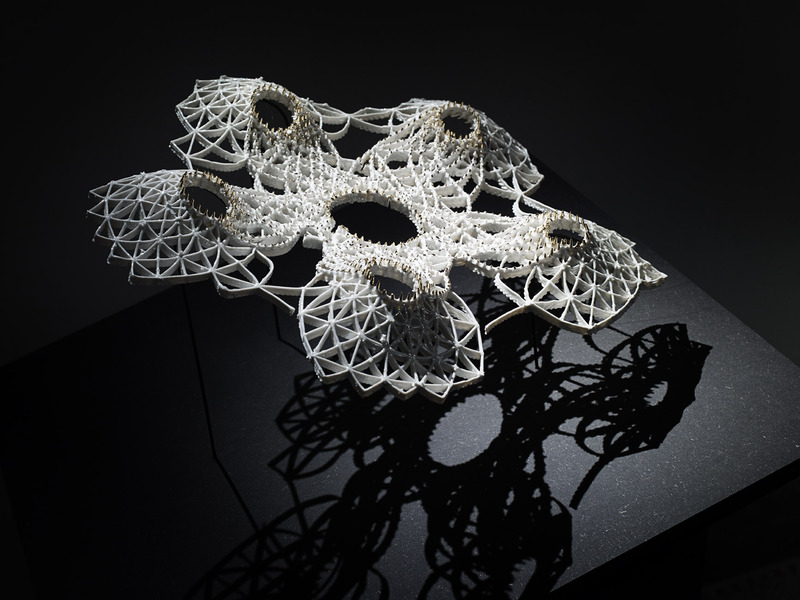 Thus Filigree Robotics is situated in a context that allow the combination of specialized knowledge of ceramic material and architecture with digital technology. The development of design and fabrication is interwoven. 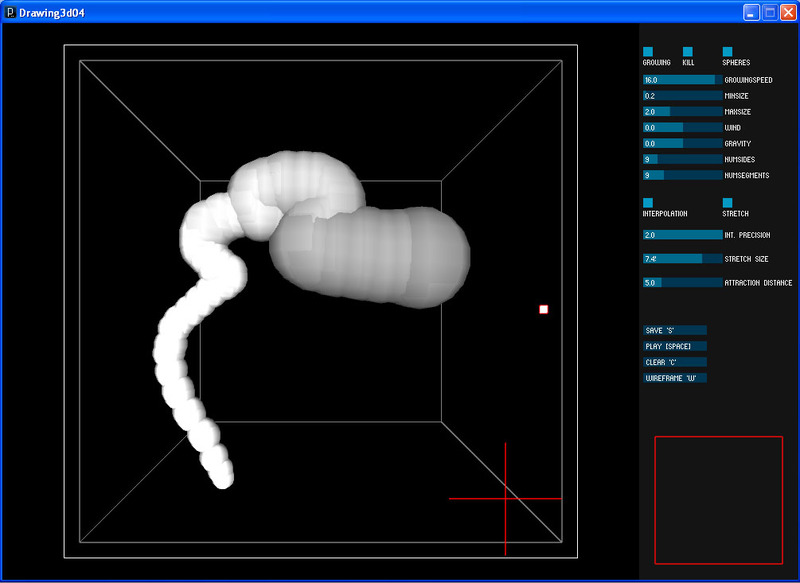 The first step is based on hand-modelling of a mold as input to a special developed computational interactive system. 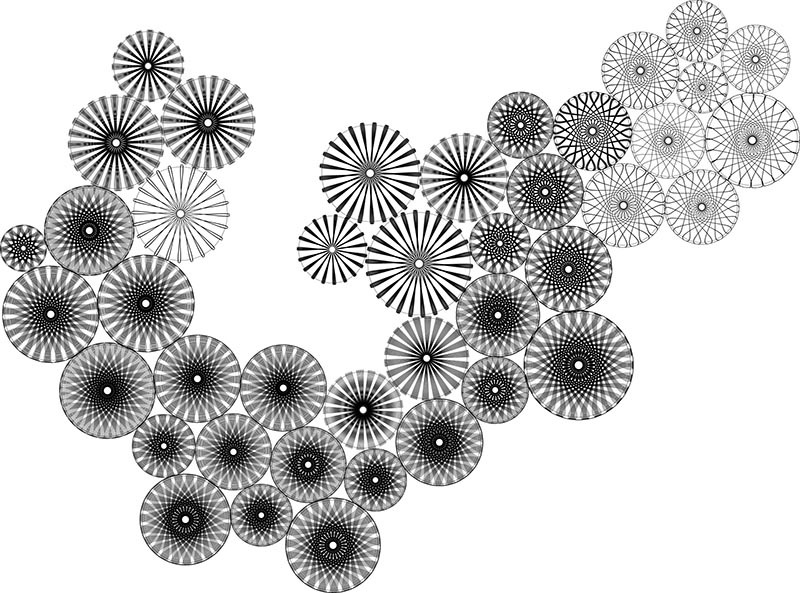 The interactive system is here a generative algorithm that works as a pattern generator. 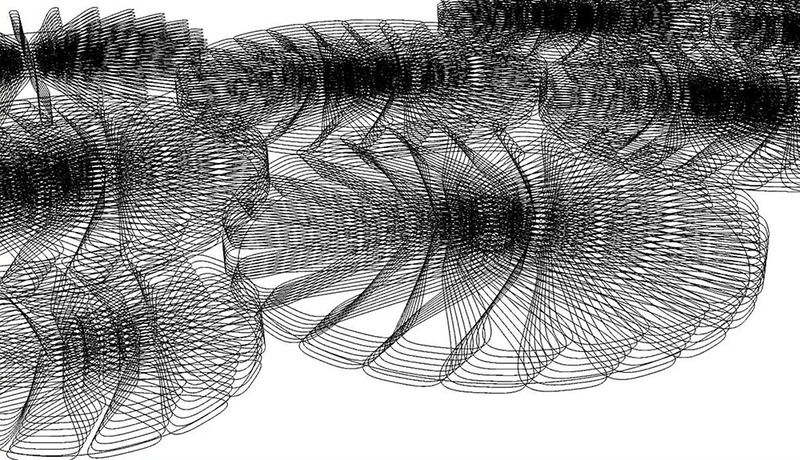 The 3D modelling software Rhino and Grasshopper provides the environment for developing the pattern generator. 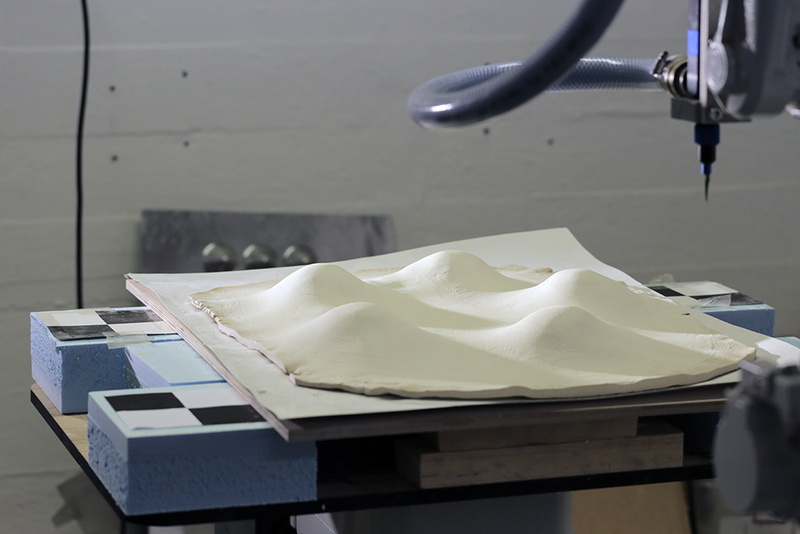 The mold is 3D scanned, depending on the shape of the mold the pattern is digitally unfolded, and a path for 3D printing generated. 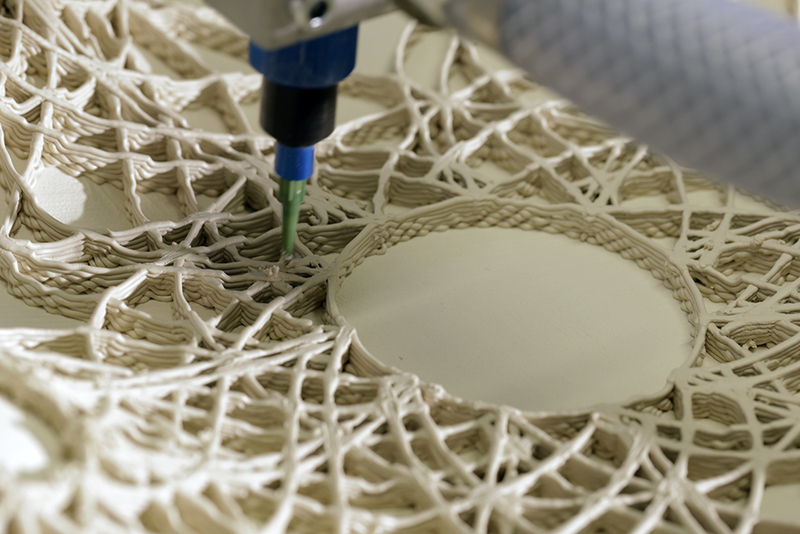 The adapted 3d printed paths are driving the robotic movement of a clay extruder nozzle with porcelain. 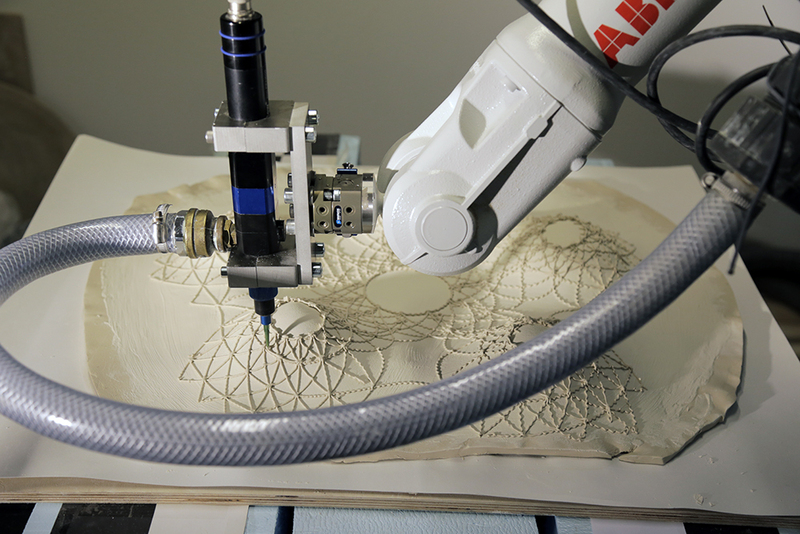 In combination with the control of the robot arms movement, printing of clay cannot only be executed with high precision, but can as well stopped at any moment. Overall, the fine print is able to utilise and emphasise the nature of the porcelain as a plastic material. 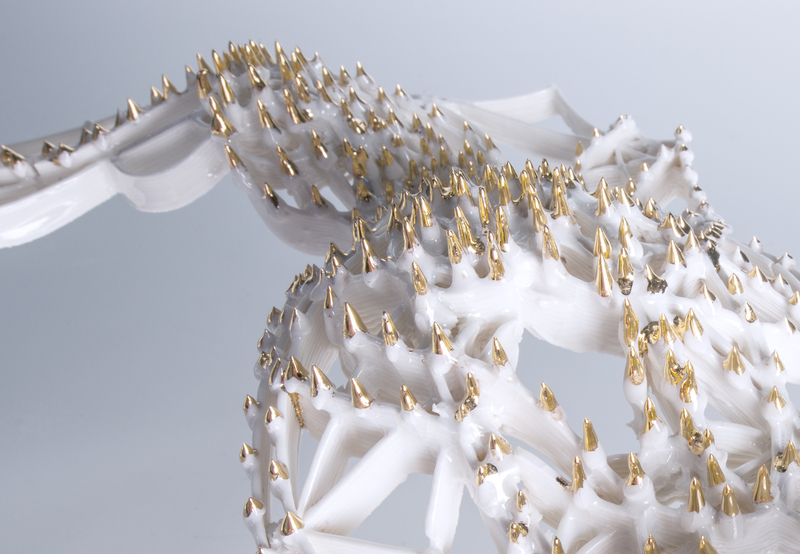 Spikes are characterized by the plasticity and "life" of clay expressed in the layered built. 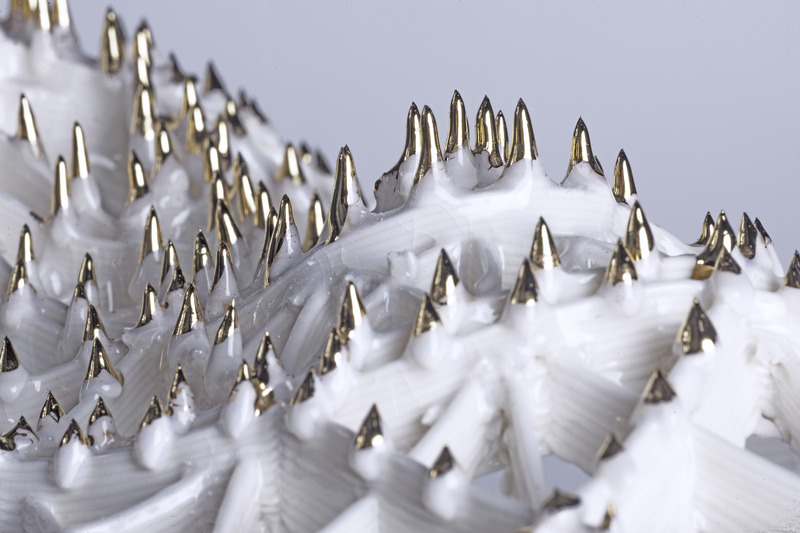 This allows for novel expressions as the 3d print of spikes, which are later glazed with gold. The final step in the making are several steps in glazing and the firing at 1260 degrees. 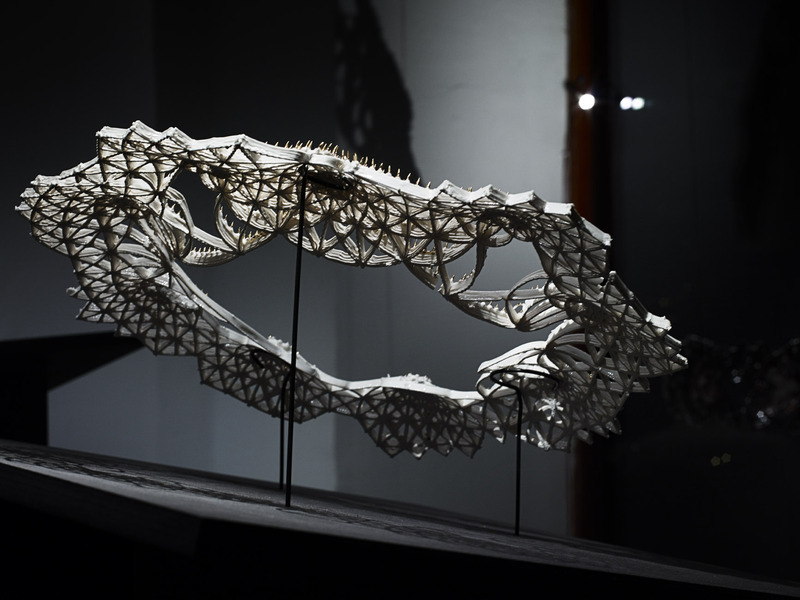 A collaboration at The Royal Danish Academy of Fine Arts - The School of Design and Architecture, - between Flemming Tvede Hansen, SuperFormLab and CITA: Centre for Information Technology and Architecture, Martin Tamke og Henrik Leander Evers. 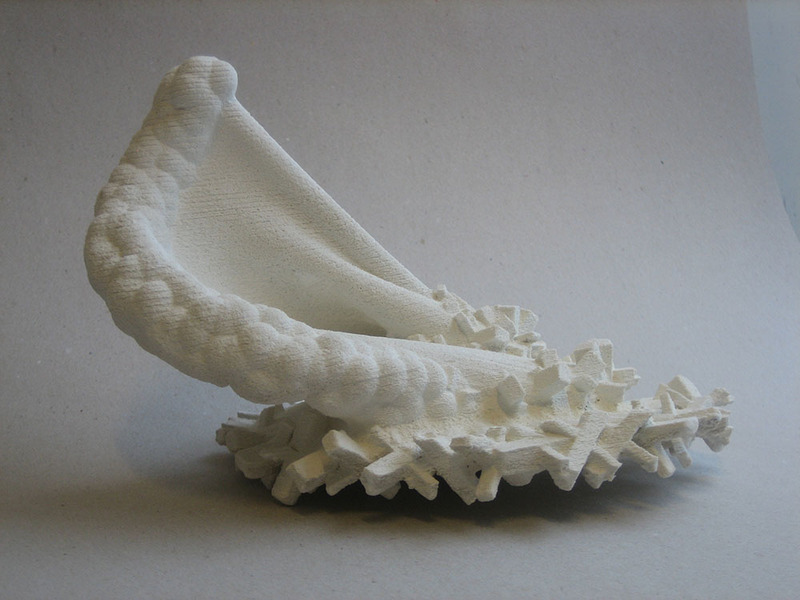 Materiality through digital technology is in this research considered in an extended way, as being the result of firstly the interaction of a designer with responding matter; here clay, - and secondly the process; here interventions by the designer, 3d printing, firing and glazing. The project used design as a method of inquiry, reflecting on action and through action. Through experiments research question, concept, digital technology and ceramic material have been tested, evaluated and iteratively refined. 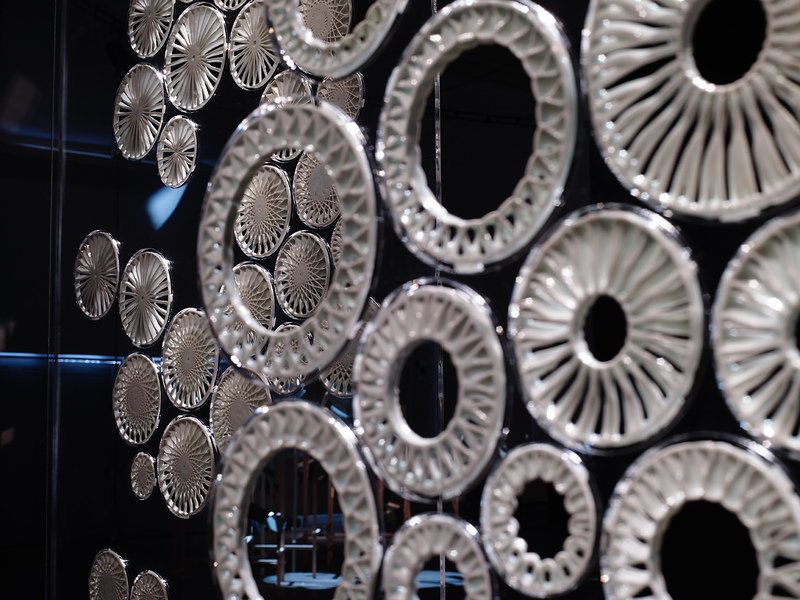 Through the experiment a computational interactive system for designing wall like composition made up by modules in ceramics that modulate light has been developed. Material processes form the base of the design technology, which holds process and material knowledge and informs ornamentation steered by the movement of the hands. Crafting and its execution become a unity again. Fulfilling performative and aesthetic purposes, the printed ceramics express the playful and light movements of the hands and simultaneously the presence of materiality. 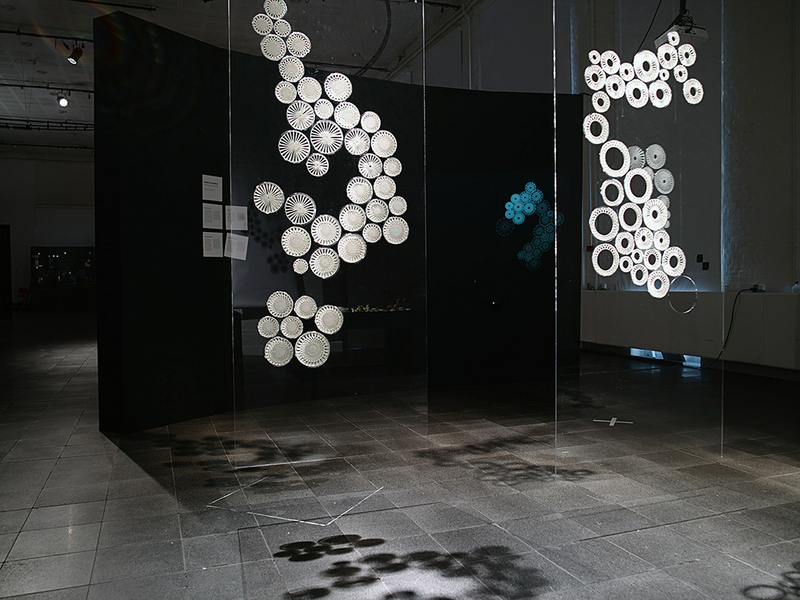 Voice is a collaboration with media artist Carl Emil Carlsen, Sixth Sensor. 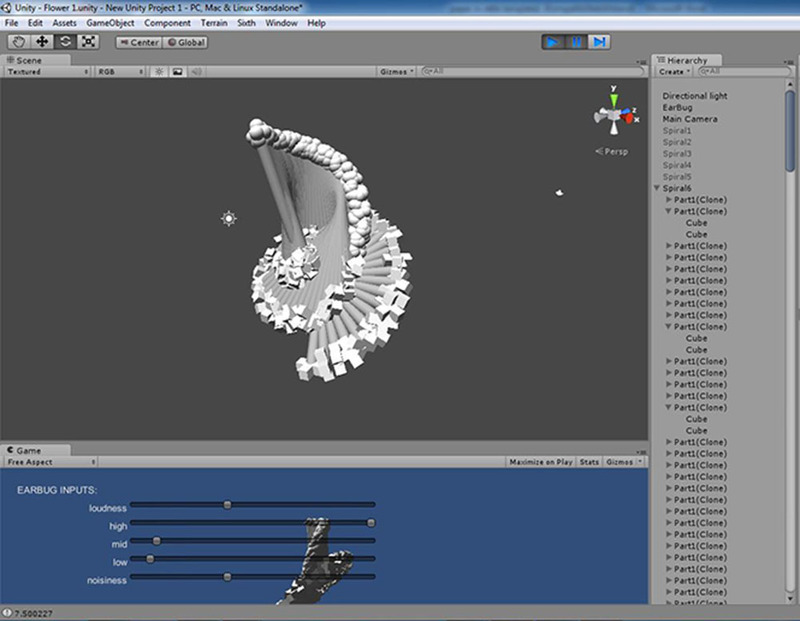 By the use of the computer engine, Unity 3D different audio features have been utilized for a parametric setup, and input to several coherent and interrelated geometries forming a whole using simple rules. 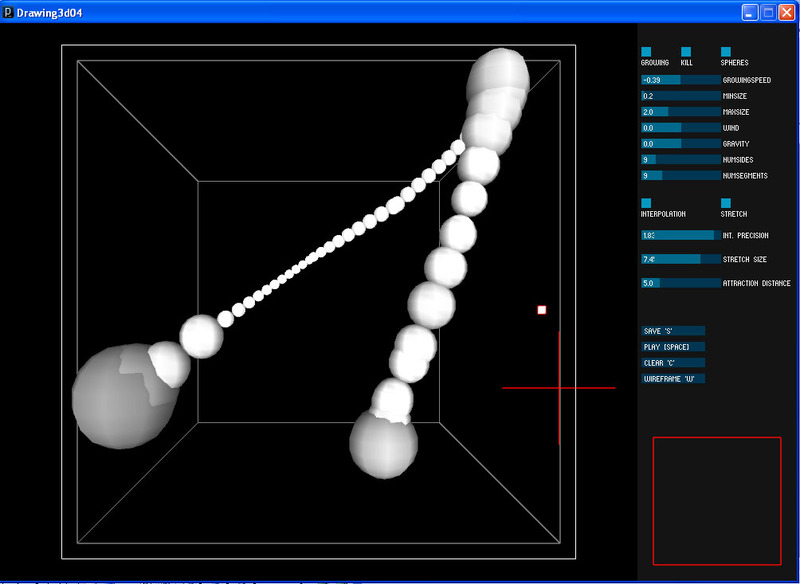 To extract the audio features from the voice the software Max msp has been utilized. 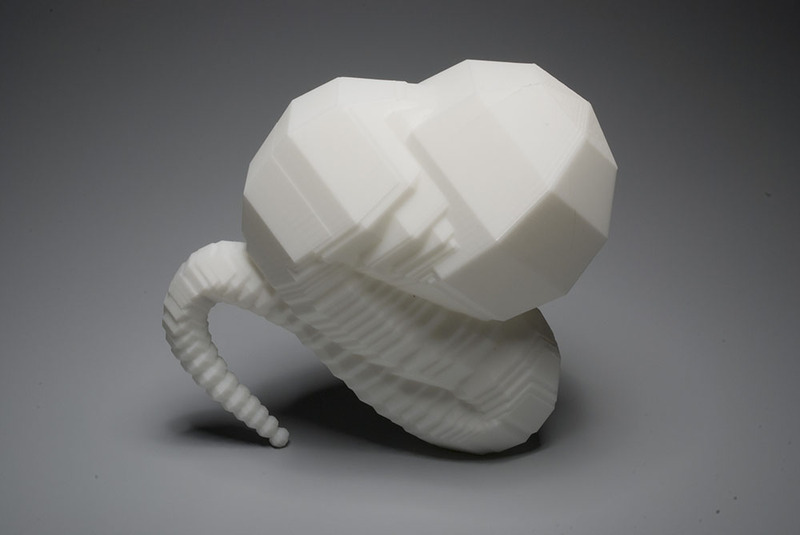 The overall shape consists of two spirals defined by two kinds of geometries. Furthermore the two spirals are connected by cylinders. 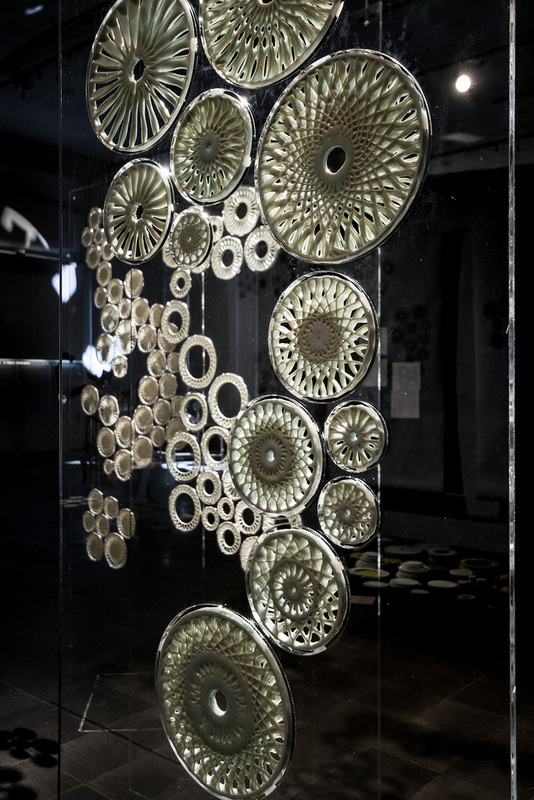 SoundShaping is a collaboration with Kristoffer Jensen, associate professor, Department of Architecture, Design and Media Technology (ad:mt), Aalborg University, Esbjerg.SoundShaping focuses on the exploration of a digital interactive system to create ceramics from the human voice. 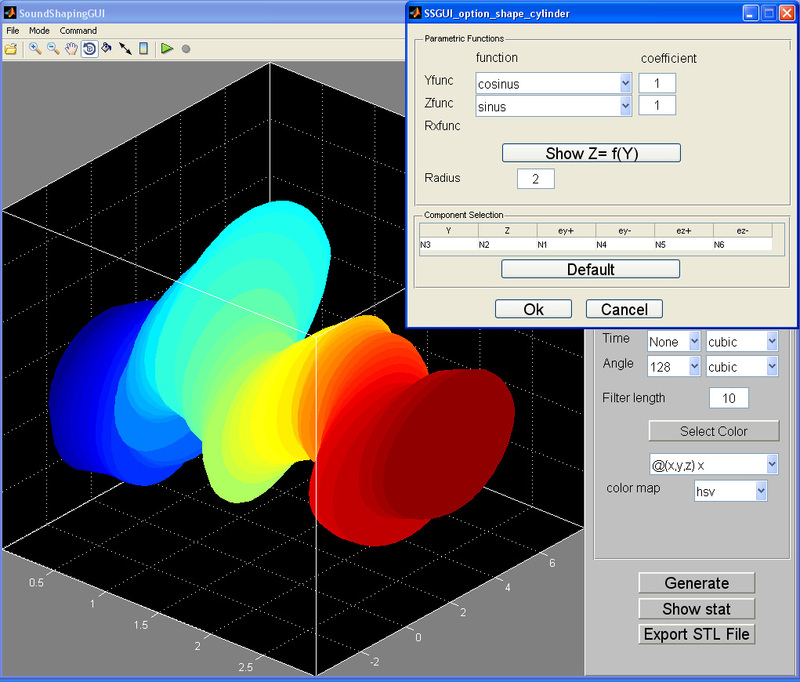 Based on a generic audio feature extraction system, and the principal component analysis to ensure that the pertinent information in the voice is used, a 3D shape is created using simple geometric rules. 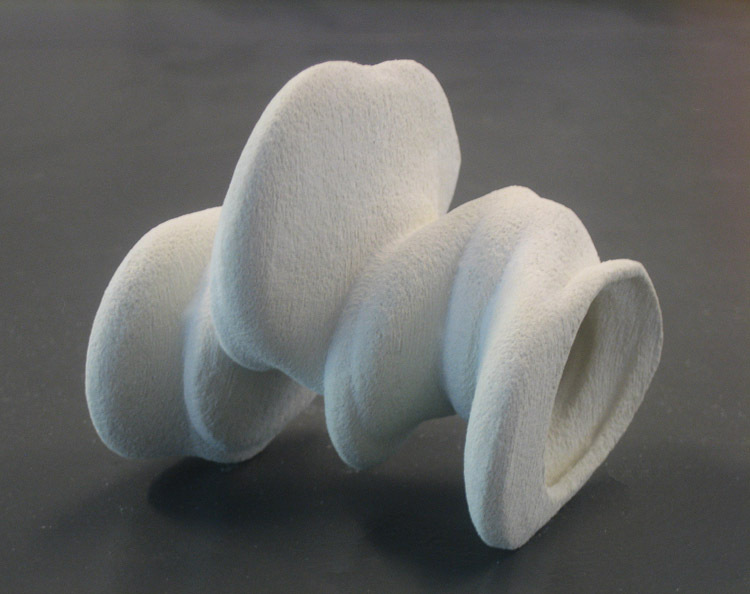 This shape is output to a 3D printer to make ceramic results. 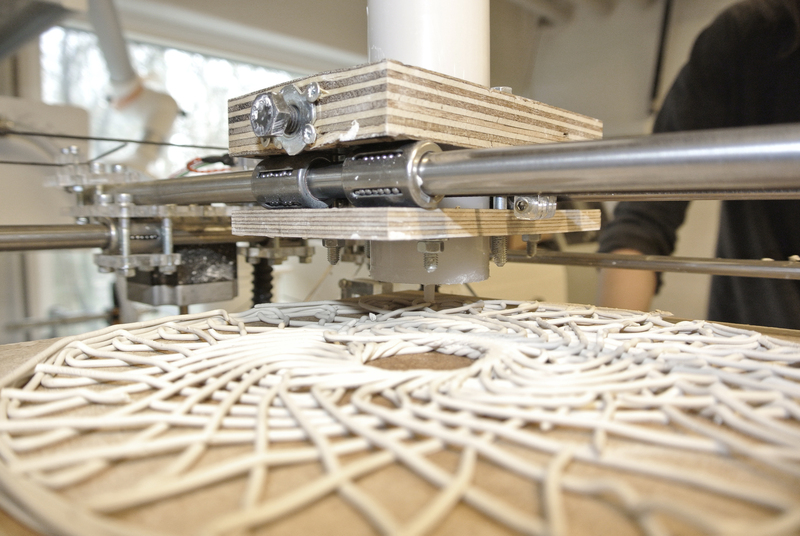 The system demonstrates the close connection between digital technology and craft practice. A collaboration with the programmer and designer Marcin Ignac. 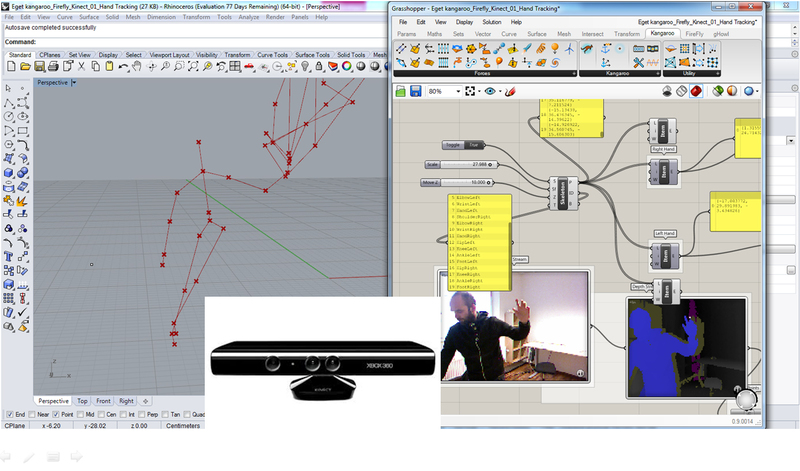 The experiment made use of the programming language Processing and a wii remote as a device to capture 3d motions. By the wii remote the movement of the hand is tracked in a 3d virtual space. 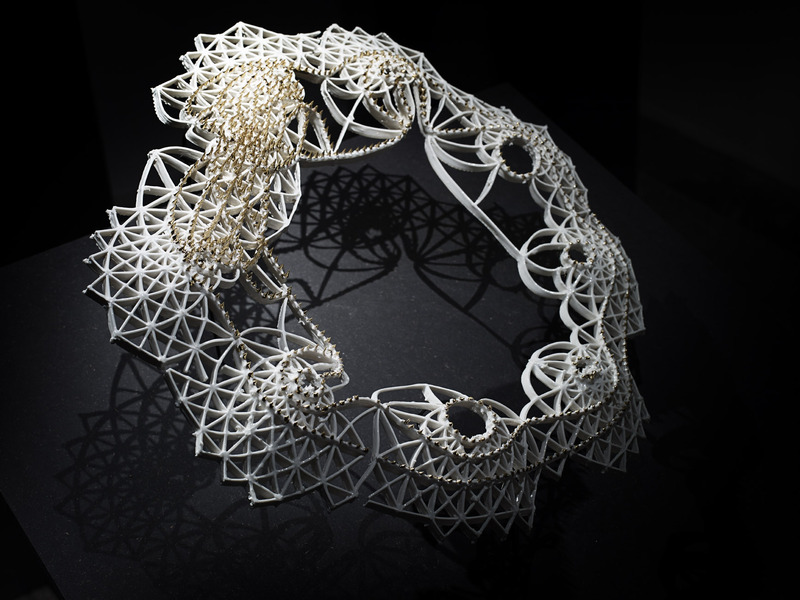 The dynamic and generative system is defined by emerging 3d geometries which respond to speed. The size of geometry and the distance between the geometries reflects the speed of the movement of the hand with the wii remote. Furthermore the emerged geometries can either increase or decrease and be affected by the following movements of the hand by being repelled or attracted. The emerged geometries provide a trace of the movement in the interactive dynamic system, which may be captured at any time. 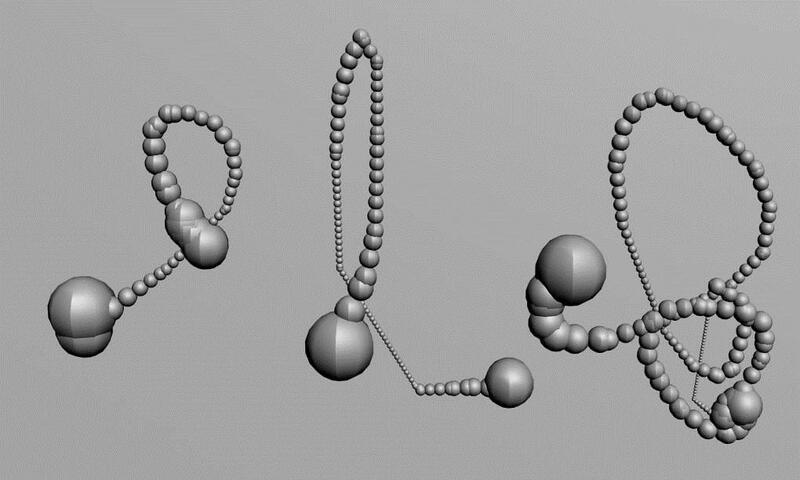 The captured movement forms the basis for a 3D physical model produced by the use of Rapid Protyping, which express the captured movement in physical form.